The booth drew attendees with wide ranging interests. 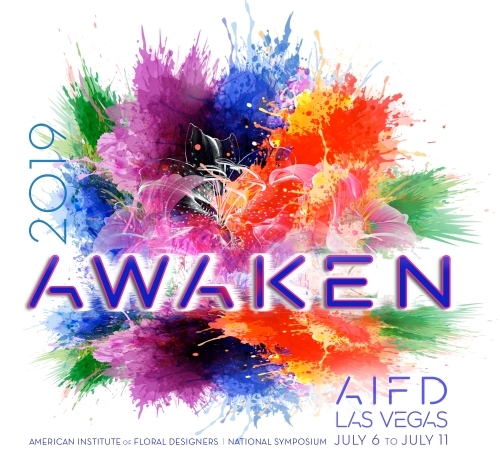 For CalFlowers, our conversations were largely with small to medium sized florists and event planners; we’re optimistic that we’ll see some new members from this exhibition. In addition, there were the “usual suspects” in the form of close friends with the Association: Armelini, Prime, Sun Valley, our South American friends, and Ag Buddies Fresh Origins and Harvest Sensations. 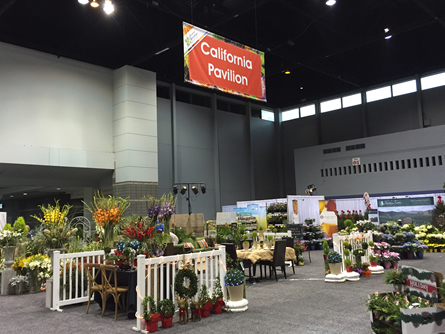 We were joined in the California Pavilion by CalFlowers members: Coastal Floral, Shubert Nursery and Clearwater Nursery. Scott Fulton of Euro American Propagators was also in the booth. 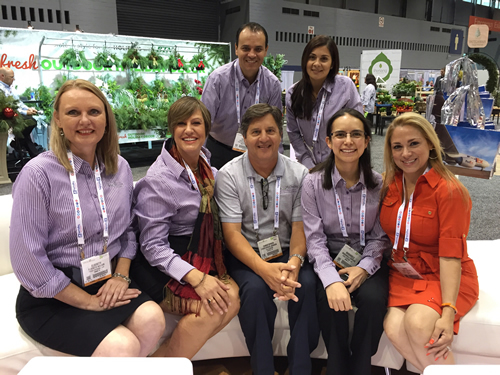 The entire Latin American team from FedEx (see below) was in a booth of their own – we will be working with this team when we add the Latin America Farm Direct Program to the CalFlowers’ shipping program benefits (the subject of a later announcement post Fun ‘N Sun). 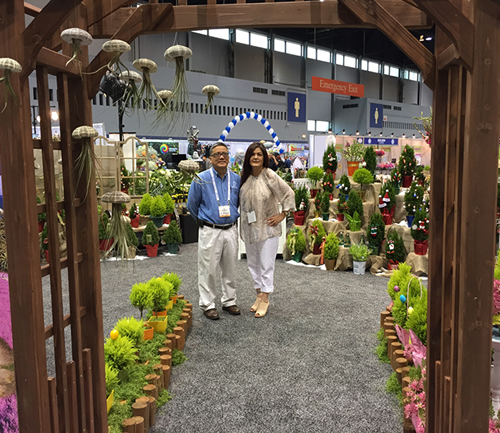 A special thanks goes out to Carmen Garcia of Coastal Floral and Toni Shubert of Shubert Nursery for their efforts in organizing the California Pavilion. 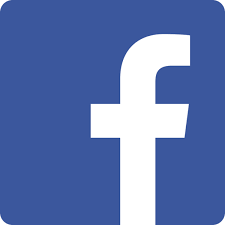 Comments on "CalFlowers Exhibits at IFE for the First Time"